I've never made one of these, but always wanted to. But never have I ever been able to justify making one for no reason. What better reason than a very special birthday, Sweet 16! 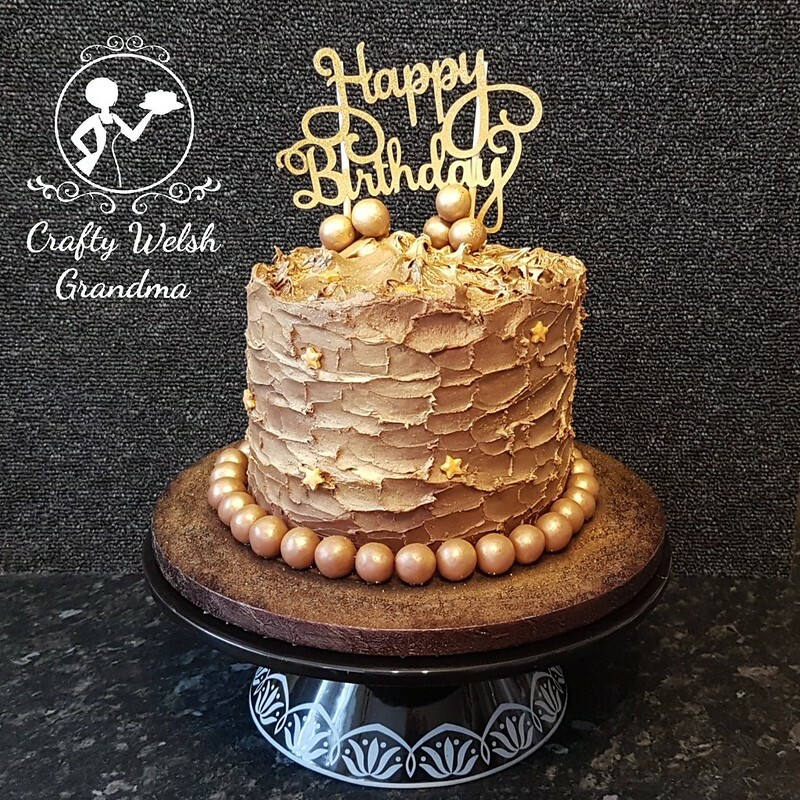 Such a stark contrast to the cake this young lady received last year! Pastel colours were required on this fondant-free cake. The final coat of butter frosting was without colour, then dotted with various gentle shades and smoothed off to create a graduated effect. 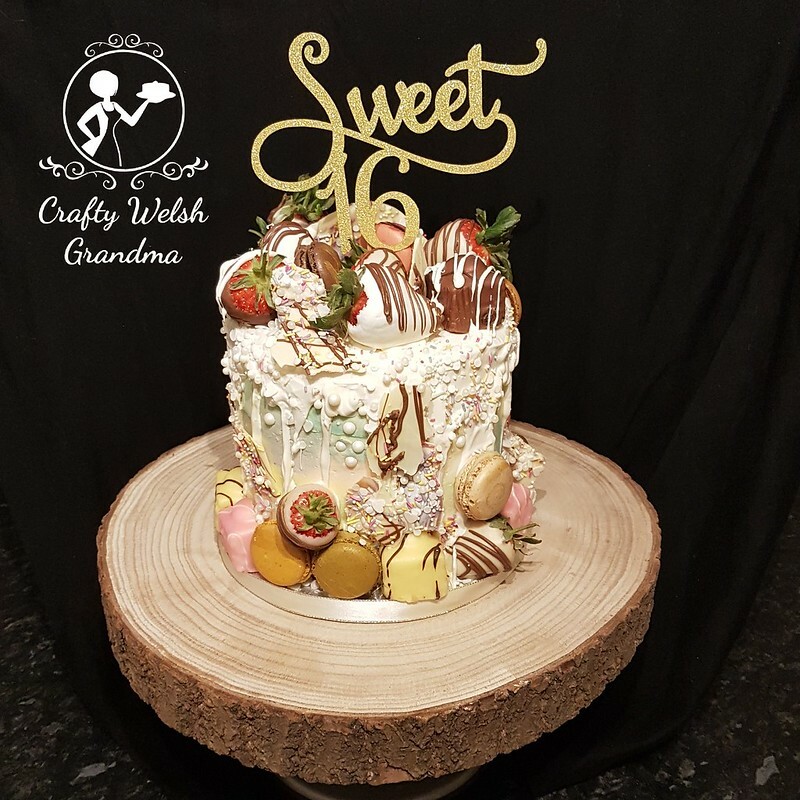 I used PME white vanilla candy melts to create the drips and also to dip some of the strawberries, the other strawberries were dipped in white and milk chocolate, then, once chilled, they were decorated the opposite colour chocolate. Even though I added oil to the candy melts as suggested to me, I was not sure how much, so did not achieve the desired runs and drips I had hoped for. But I think I still looks awesome! The cake itself consisted of three 6 inch sponge layers flavoured, delicately I hope, with essence of white chocolate flavouring. For this, I used Classikool maximum strength white chocolate flavour, which is available on Amazon as well as eBay. The sponge has been kept simple to accommodate the variety of decorations. This cake was so 'last minute' because it had no protection to keep in fresh, ie fondant. I have never had so much fun decorating a cake as I did with this! I loved every moment of the experience.